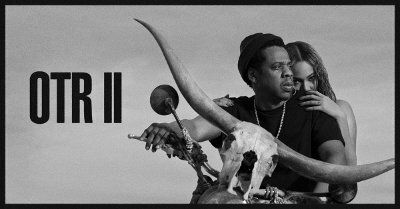 Jay-Z AND Beyonce are joining forces for the newly announced OTR II stadium tour. Kicking off Wednesday, June 6th in Cardiff, UK, the international outing will stop in 15 cities across the UK and Europe and 21 cities in North America. The tour is presented by Live Nation Global Touring in association with Parkwood Entertainment and Roc Nation. Tickets will go on sale to the general public starting Monday, March 19th at LiveNation.com and all usual outlets. On-sale dates and times vary. Citi is the official credit card for the OTR II stadium tour and as such, Citi cardmembers can take advantage of a special pre-sale opportunity for show dates in the United States, Europe and the UK. For performances going on sale on Monday, March 19th in the US and Europe, Citi cardmembers may purchase tickets beginning Wednesday March 14th at noon through Saturday, March 17th at 5pm (Citi pre-sale in Paris ends Friday, March 16th at 6pm). For concerts in the United Kingdom, Sweden and Poland, Citi cardmembers may access tickets starting Monday, March 19th at noon through Thursday, March 22nd at 5pm prior to the general on-sale on Friday, March 23rd. * On-sale date March 23. All other dates March 19.